MOSCOW, January 10. /TASS/. The conclusions on the origins of a hole aboard the Soyuz MS-09 spacacraft will be reported to the Russian leadership in the next few weeks, head of the Russian state space corporation Roscosmos Dmitry Rogozin told RBC news agency in an interview published on Thursday. "Our task is to provide complete technical assistance to the investigation, and they [investigators] will draw conclusions. They will then report their findings to the limited number of members of the Roscosmos commission. This information will then be immediately reported to the country's leadership. 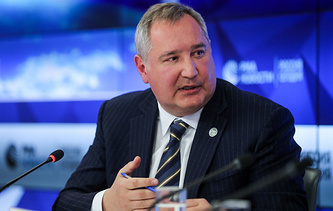 All of this will happen in the next few weeks," Rogozin said. "Experts now have all evidence to establish with high precision what happened," he noted adding that "Americans also inquire about the results of our work."